How do you feel when you wake up in the morning – full of energy and raring to go? Or are you foggy in the head, unrested and fatigued? You might just be suffering from sleep apnoea. And you may very well not know you have it. Sleep apnoea is a disorder in which sleep is interrupted or even paused for a few seconds to a minute or more – partners sleeping in the same bedroom will likely notice that the person stops breathing and then gasps for air, often with loud rattling noises. What’s happening here is that your brain is not getting enough oxygen, says South African Society of Physiotherapy Deputy President Rogier van Bever Donker. That’s quite dangerous and raises your risk of death from something like stroke or heart disease significantly. “And it’s not uncommon,” he adds. “We used to think it was relatively rare, but more recent research suggests that in the USA, maybe one in five to one in three adults suffer from sleep apnoea. We’re probably not far behind.” Children can get it, too, but it’s most common in adults over forty. Obstructive sleep apnoea (OSA) is caused by repeated partial or complete obstruction of the upper airway that diminishes or stops breathing. Central sleep apnoea occurs when the brain is less sensitive to changes in carbon dioxide levels in the blood and fails to send signals to the respiratory muscles to breathe deeper. Mixed sleep apnoea is a combination of both obstructive and central sleep apnoea episodes. Causes may include having a big neck, being obese, a large tongue or tonsils, a particularly narrow airway, nasal congestion and smoking, drinking alcohol or taking sedatives. “OSA is the most common kind,” says Van Bever Donker. If you suspect that you might have it, you need to get a confirmed diagnosis at a sleep clinic. They will advise you on treatment – they are likely to prescribe a CPAP (Continuous Positive Air Pressure machine), a mask/fan combination which ensures the airway is open and getting air while you sleep. “You should also consult your physiotherapist,” says Van Bever Donker. “An adjunct treatment for sleep apnoea is exercise, and that’s one of the things physiotherapists are highly qualified to do, trained as they are in every subtle detail of the anatomy, even the tiny muscles in your throat.” Two kinds of exercise may help: exercise aimed at improving general fitness, and specific exercises targeting muscles in your throat and neck. A Brazilian study published in 2016 showed marked benefits from improving general fitness: “Exercise related physiological adaptations in OSA patients include increased upper airway dilator muscle tone, reduced fluid accumulation in the neck, increased slow-wave sleep (stage 3 NREM sleep), reduced body weight, and reduced systemic inflammatory response.” Simply reducing inflammation and the amount of fluid retained in your upper body – both proven results of regular aerobic exercise – can make a noticeable difference to the quality of your sleep, says Van Bever Donker. And a number of studies have shown the benefits of targeting those muscles and structures most involved, the ones in your throat, tongue and back of the mouth. How do you do that? Your physio can tell you – and she or he will show you that exercise can be fun! One of the simplest exercises for sleep apnoea is a special kind of singing. “Our bodies are meant to be active,” the deputy President says. Where would you be without your bones and your joints? Lying in a messy jelly in the corner! 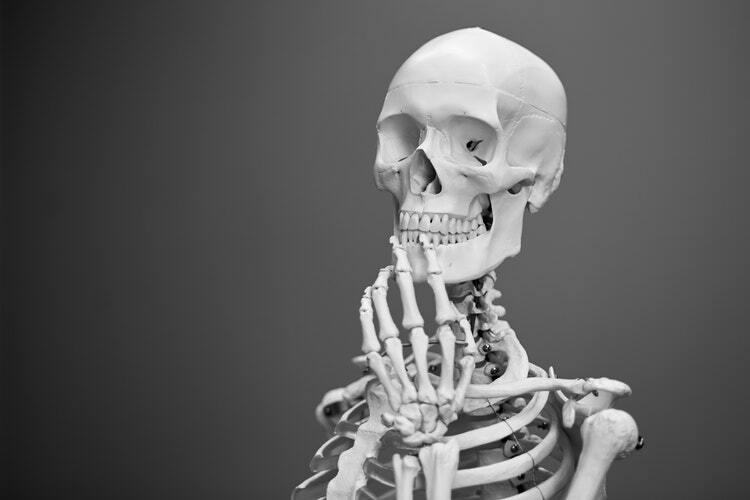 The South African Society of Physiotherapy assists with a few tips to make your skeleton happy and healthy. All kinds of exercise are good for your bones and joints and the muscles that rely on them. Resistance exercises are also important to your musculoskeletal health. ‘Resistance’ means simply working against something that has a load, a weight (and that can even be your own body, as in planking, or using equipment like dumbbells) or resists you, like a resistance band. “You’ll often see people with osteoarthritis being advised to lose weight to reduce strain on joints, and therefore pain,” says van Bever Donker. “In fact, recent research seems to indicate that it’s actually the inflammation associated with poor gut bacteria due to overweight that causes the pain. This is rather hopeful, as it means that you might be able to eat and take supplements that can help your bacteria recover.” Reduced pain as a result would make it easier for sufferers to exercise and stave off future pain! Good foods for gut bacteria? Look for foods that are fermented naturally (like umqombothi, kimchi, sauerkraut, kombucha and natural yoghurt – you can even make your own pickles at home). Avoid sugar and simple carbohydrates, and eat lots of plants. Your physiotherapist can advise you if you have any concerns about bone and joint health. Brought to you by the South African Society of Physiotherapy! www.saphysio.co.za. You want one piece of advice about cancer, whether you have it or you want to prevent it? 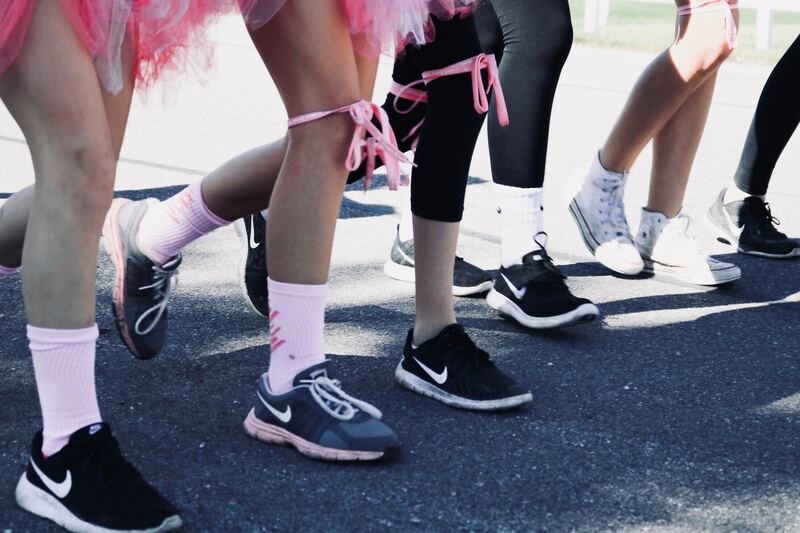 Research into well-studied cancers like breast, colon and lung cancer show that people who engage in regular, moderate-intensity exercise, have a significantly reduced chance of getting these diseases (and this holds true for a number of other cancers, too). And we really mean ‘significant’ risk is reduced by between 20 and 40%. The questions are: what is ‘regular’, how long should you do it, and what is ‘moderate intensity’? Moderate intensity activity includes things like walking briskly; dancing; cycling on fairly level terrain; gardening (raking and digging, not delicate pruning! ); scrubbing floors and other housework activities like that; playing with children. The experts vary on what ‘regular’ means. Some say around three or four times a week; others say most days of the week. So aiming for five times a week seems reasonable. The duration should be between 20 and 40 minutes at a stretch; the ideal is to hit 150 minutes or more a week, which would mean 30 minutes five times a week. So that’s prevention; how about surviving cancer? When your cancer is diagnosed, you’ll get a lot of practical advice about how to manage life while you’re in treatment. If there’s a physiotherapist on your oncology team, she or he will give you this vital tip: exercise. Yes, it’s safe to exercise while you’re undergoing cancer treatment, many studies have shown that. But exercising while you’re being treated will do much, much more: it will improve your strength, reduce the fatigue often associated with oncology treatments, and greatly improve your quality of life. What’s not to like? Movement is good health – so put your takkies on and head for the great outdoors!